New Caledonia’s premier competition returns this weekend when the 2018 edition of the Super Ligue kicks off at Numa Daly in Noumea, Kone and Mare. 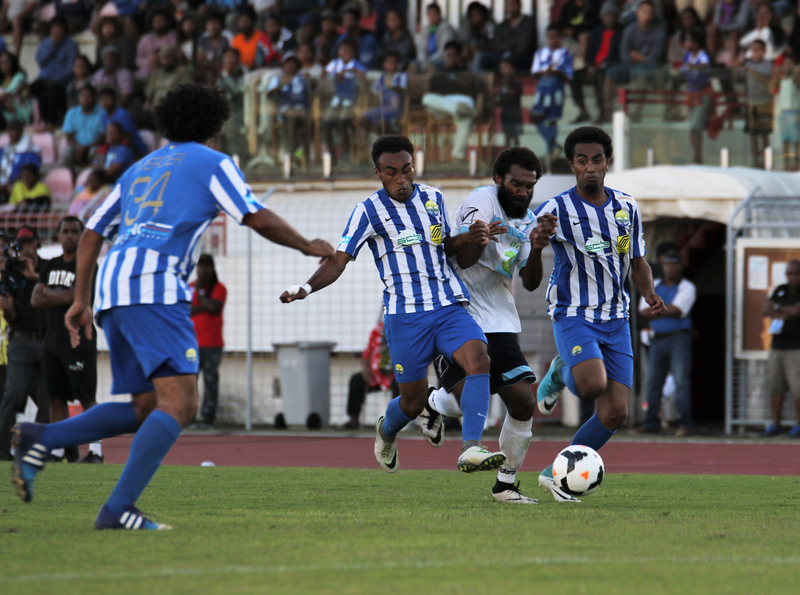 Five matches will kick off the season which is expected to be another exciting one as clubs from across the nation compete not only for the national title, but a place in the OFC Champions League, Oceania’s premier club competition. Having earned their first title last season, Hienghene Sport will begin this season with a Northern derby against Racing Poindimie at Stade Yoshida in Kone. Felix Tagawa’s men will be keen to start the season well, with the infatigable Bertrand Kai once again taking his place as captain of a squad that will want to continue building on their domestic achievements. Alongside some of his more experienced players, Tagawa also has some promising youngsters to call on. Poindimie has remained almost unchanged from their 2017 squad, with just two players from Promotion Honneur Nord coming into the squad. International Jean-Philibert Outiou will be one of the key players for the side. At Stade de la Roche on Mare, it’s an inter-island match-up that will open the season as Trio Sport Kejeny, Loyalty Islands Champion in 2017, make their senior elite debut against Horizon Patho. It promises to be an engaging match with Horizon Patho having established themselves in the Super Ligue over the past two years with a reliable team of players. For Trio, it will be a baptism of fire in Mare as the side from Lifou hope to make an immediate impact on the Super Ligue. At Numa Daly there are three matches on the programme starting with Tiga Sport taking on Wetr. Tiga has spent time shoring up a squad in the off-season that can be competitive as they aim for the title, while Wetr will likely continue to adopt the direct style they’re known for. 2017 runners-up AS Magenta will open the season against AFJP. While Magenta did some shrewd recruiting, bringing in proven goal scorers Tiga’s Emile Ounei and Lossi’s Richard Sele, they also come into the season with the weight of a poor OFC Champions League bid on theor shoulders. However AGJP are one of the lesser known, lower rated sides in the competition which could help Magenta earn an early victory and with it a confidence boost. Finally, on Sunday Thio will take on AS Lossi. Only one scheduled match is unable to take place, Mont Dore and Ne Drehu have had their encounter postponed due to a lack of seats available on the flights due to the school holidays.